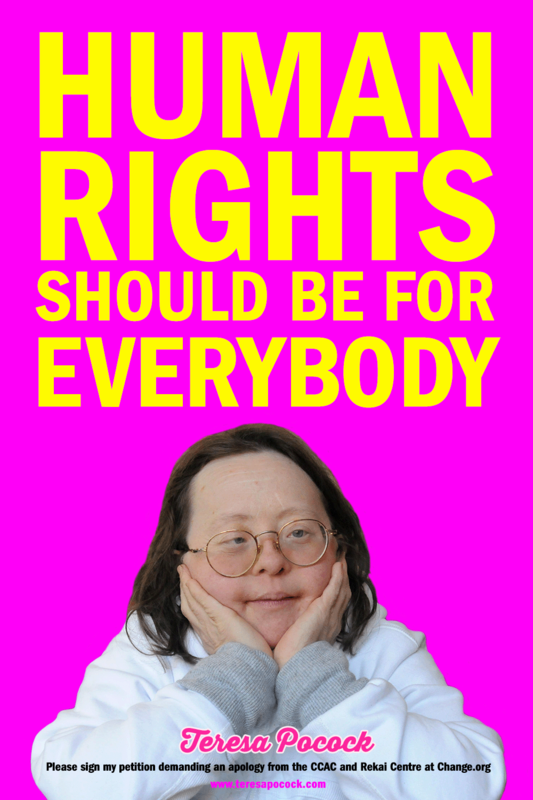 Buy Poster: Human Rights Should Never Disabled. It makes me so happy that she won her freedom, and I think that maybe the whole thing happened because awareness needs to be raised. The people who did this to her are evil, no doubt about it. Teresa seems like a wonderful person and she ought to be treated like one.